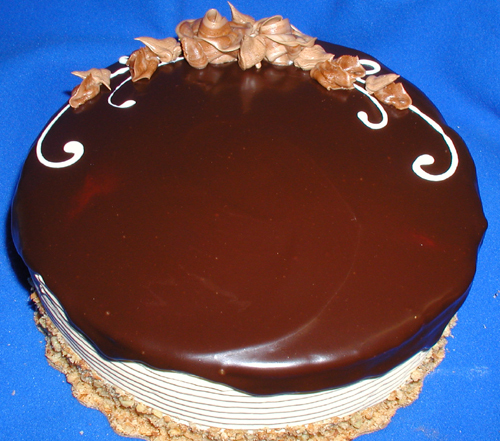 Vanilla and chocolate cake layered with rich chocolate mousse filling, finished with buttercream and ganache swirls. 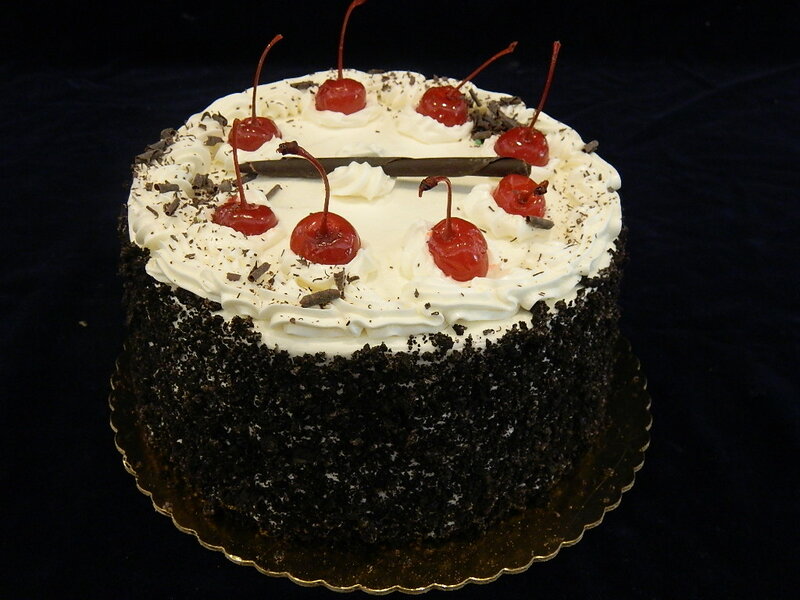 Vanilla and chocolate cake layered with classic Cherry Kirsch filling topped with buttercream, chocolate shavings and maraschino cherries. 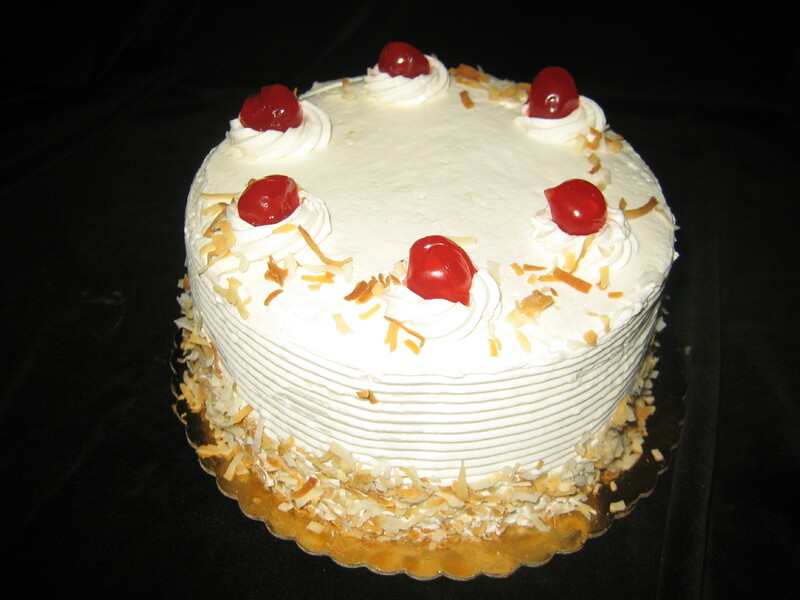 Vanilla cake layered with a rum coconut mousse filling finished with buttercream and accented with toasted coconut and maraschino cherries. 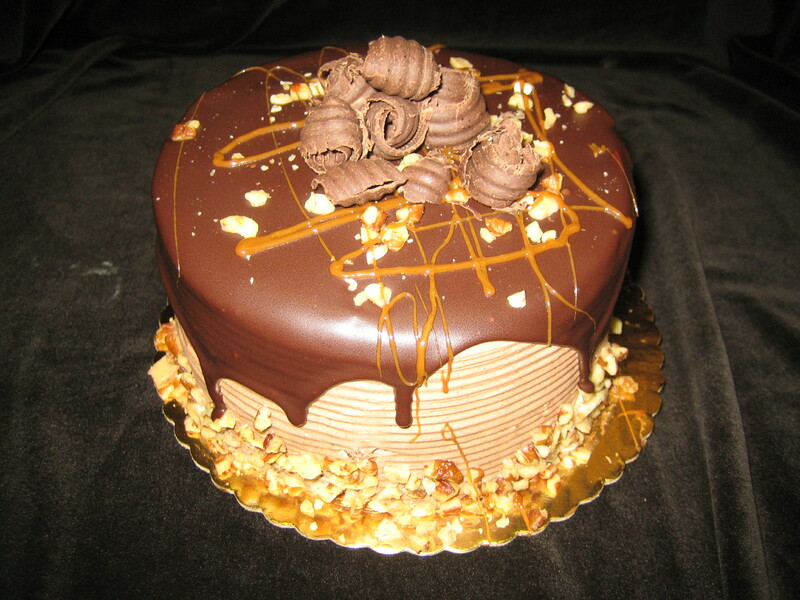 Chocolate cake layered with decadent caramel mousse filling coated with chocolate buttercream and topped with dark ganache, nuts and a caramel-chocolate drizzle. 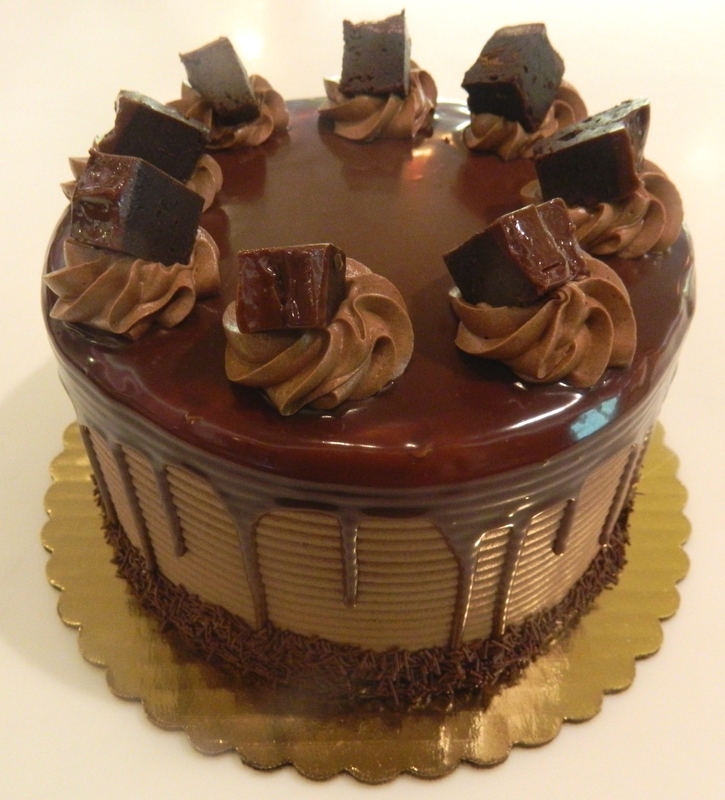 Chocolate Cake layered with chocolate mousse filling, frosted with chocolate buttercream and topped with dark ganache and decadent brownie pieces. 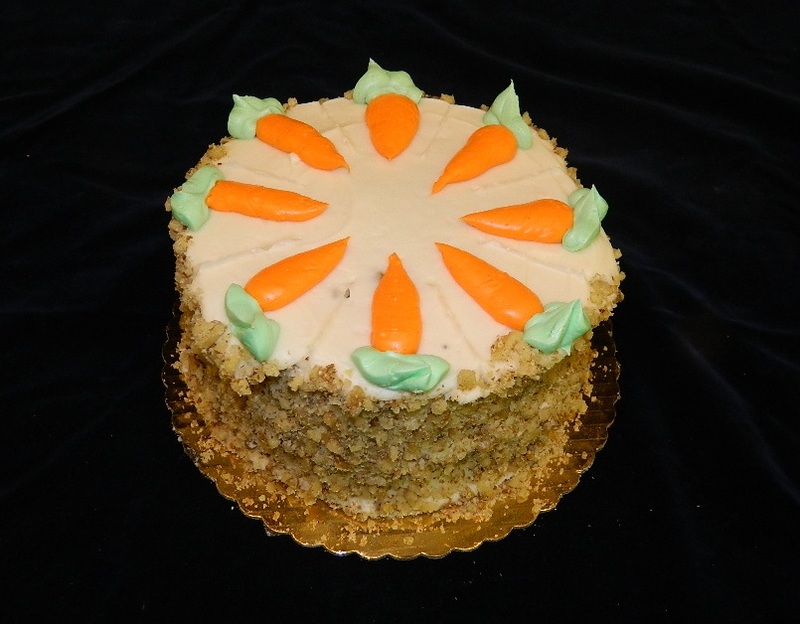 Our original 1922 recipe Carrot Cake layered and iced with cream cheese frosting and toasted walnuts on the sides. 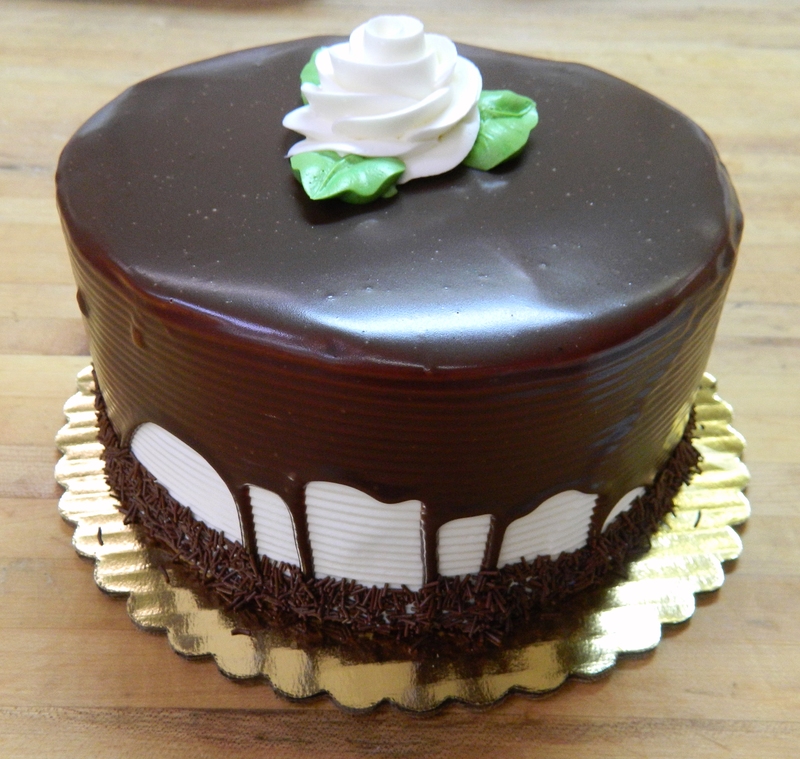 Vanilla cake accentuated with splashes of Kahlua, layered with mocha mousse, frosted with mocha buttercream and topped with decadent ganache. 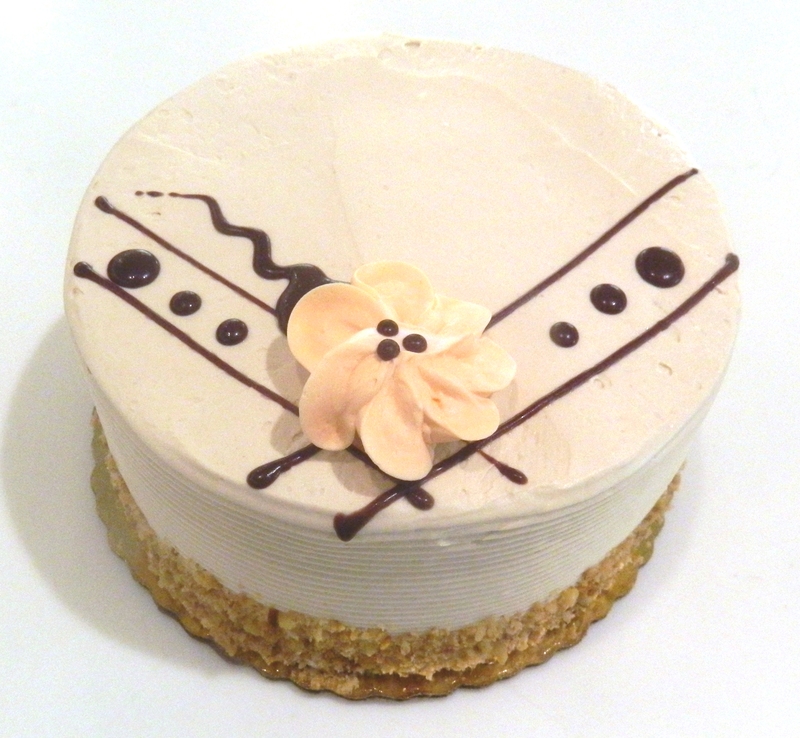 Vanilla cake layered with hazelnut buttercream & ganache, finished off with a hazelnut buttercream. 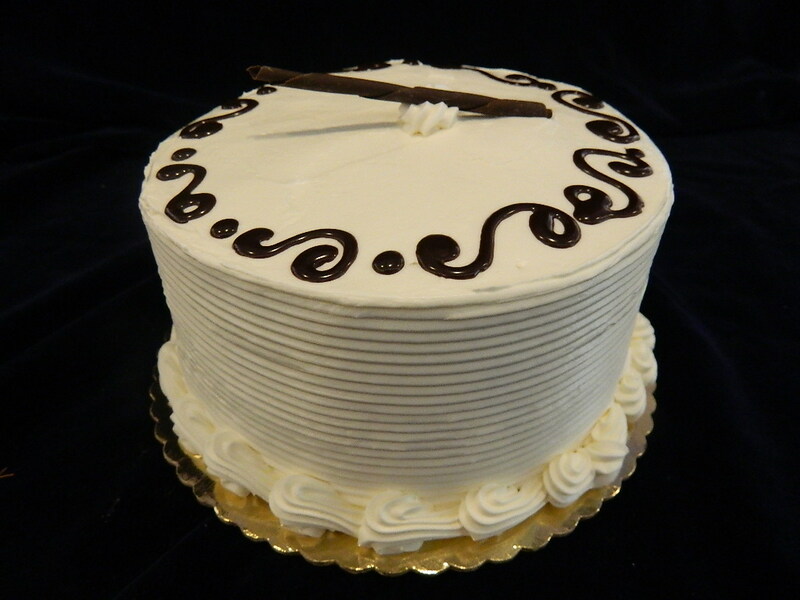 Vanilla cake layered with a refreshing raspberry preserves & white chocolate mousse filling, topped with buttercream and white chocolate curls. 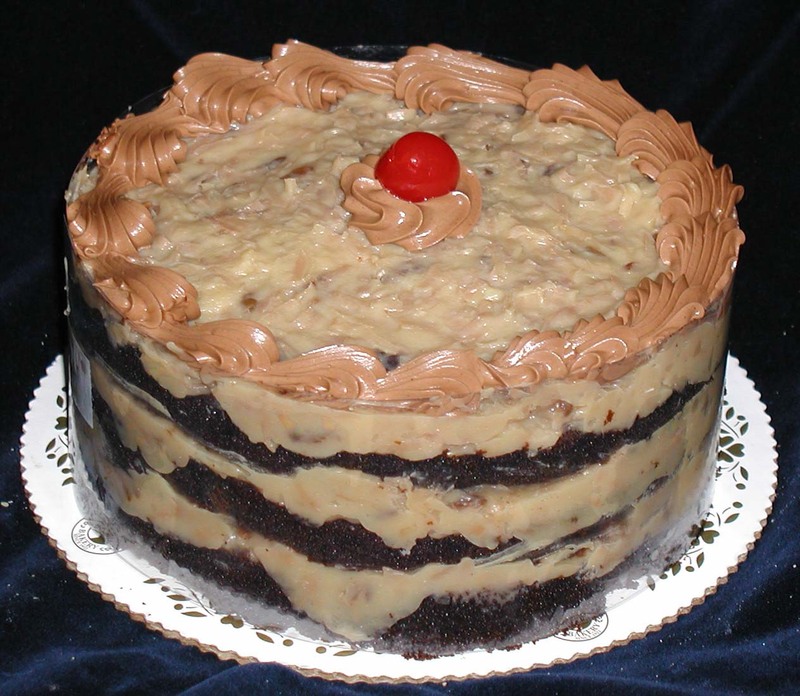 Chocolate cake layered and topped with the original 1948 recipe German chocolate filling finished off with a maraschino cherry. 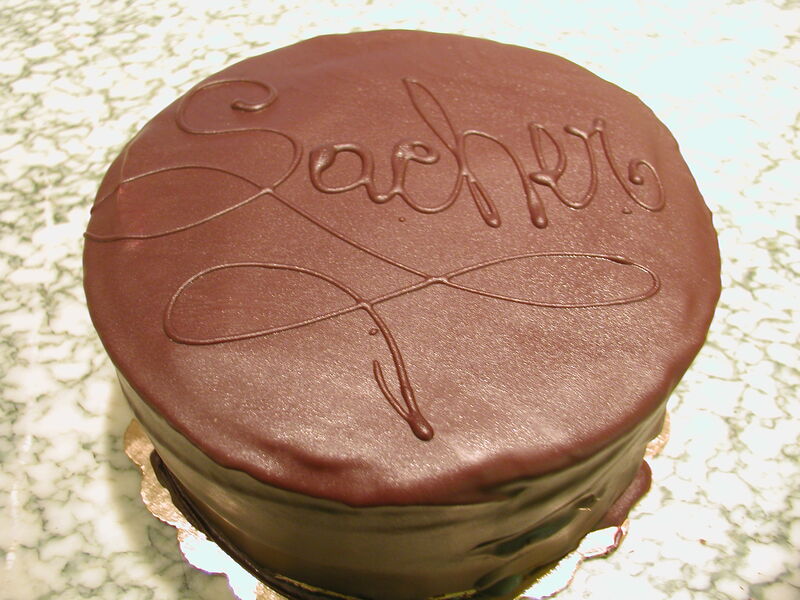 Chocolate Cake layered with apricot preserves topped with chocolate buttercream and decadent ganache. 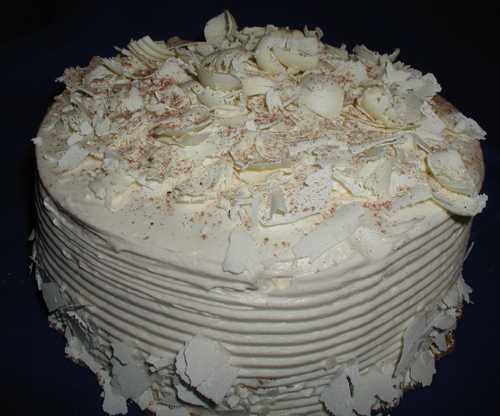 Vanilla and Chocolate cake layered with white chocolate mousse filling and finished off with buttercream and a ganache topping. 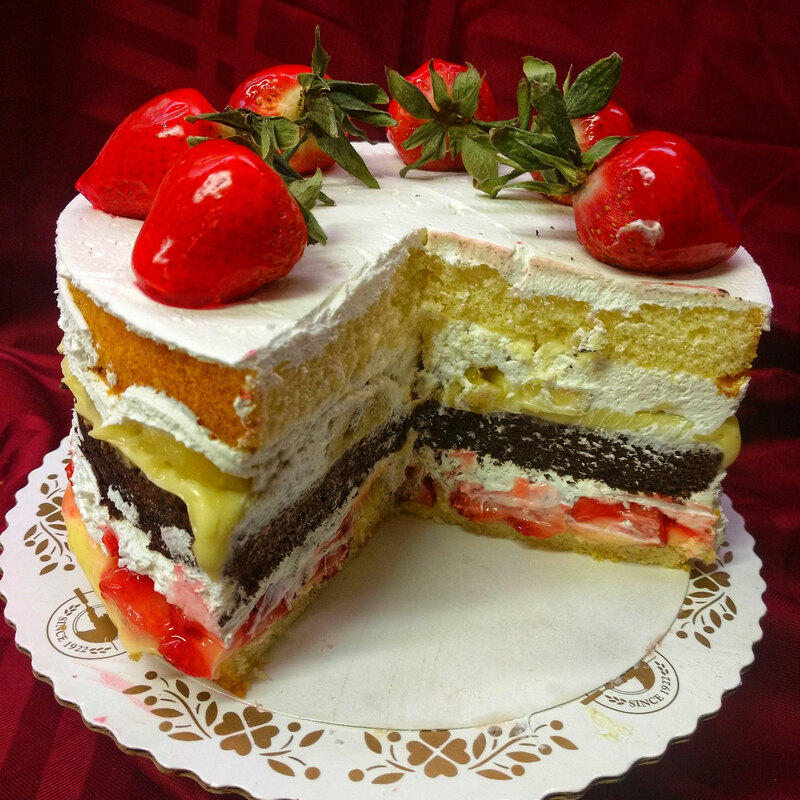 Two layers of Yellow cake, one layer of Chocolate cake, one layer of custard and bananas and one layer of custard and fresh strawberries, all topped with whipped cream.